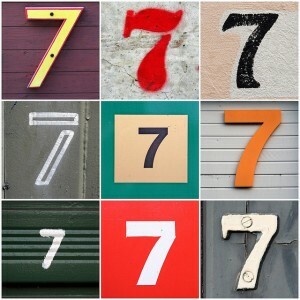 Comprendia was founded in June of 2008, which means we are beginning our 7th year. For this occasion, I’ve decided to reflect about the future of life science digital marketing and I present five predictions which are open to discussion. Words will change, but concepts will remain. In the summer of 2008, we had freshly minted brochures and wanted to test them out. We compiled a list of San Diego biotech companies and did our first mass ‘snail’ mailing to them. It turns out that this was our last mass mailing, snail or electronic, as we got zero responses. A hard lesson was learned, and to be honest, we should have known better: broadcasting a message works very poorly. A few months later, we founded the San Diego Biotechnology Network (SDBN) and no longer need to broadcast our materials as we provide engaging content and events and are well known in the region. This “non-broadcast” approach to marketing has been described using many monikers such as social media, content marketing, and brand journalism, to name a few. One of the current hot phrases is “digital marketing,” and for SEO we were sure to capitalize on that with the title of this post! While the words used to describe modern marketing strategies and tactics may change, the same concept remains: to reach today’s researchers, life science companies must engage with them. Social media will (slowly) evolve from a tactic to a strategy. Alas, although we view creation of engaging content and the building of opt in communication networks as being essential strategies for today’s life science companies, many still view social media as a tactic. This means that they want to “plug it in” to their existing tactics, without realizing their marketing strategies must be transformed to achieve success. The telltale signs are when we hear companies say they “need to be on Facebook and Twitter” as these are tactics and don’t represent strategic thinking. Even though we don’t see a social media revolution taking place, as it has for other industries, we do see an evolution, as incremental changes take place. Very fitting for life science, isn’t it? Web 2.0 will be the new black. We separate social media into 1st party (e.g., blogs and forums) and 3rd party (e.g., Facebook and Twitter) sectors, and are seeing some alarming trends in the latter. On this blog we were the first to point out that corporations are paying to acquire and advertise to a large number of purported fake Facebook users. Others have vociferously complained about Facebook advertising, and we have found it increasingly difficult to run page promotions. Examples include rejections of advertisements for reasons we consider capricious and the inability to simply and affordably reach the people who have “liked” our page. Similarly, LinkedIn has made some changes to their groups which we fear portends their eventual dissolution. In short, 3rd party social media applications are struggling to find a business model, and life science companies that depend on them may suffer as a consequence. While these applications still offer benefits now and in the short term, we urge life science companies to diversify and to ensure that resources be used to develop Web 2.0 applications and sound, engaging content on their websites. Life science trade organizations will continue to evolve. We interface with traditional life science trade organizations such as the Biotechnology Industry Organization as well as modern, non-membership entities such as ScienceOnline. With the SDBN, which is non-member based, we sought to connect more life science researchers and professionals by leveraging online tools and engaging events. We make information about local companies, news, and jobs freely available on the website. Because there is no membership fee, however, we don’t have the resources to provide the same sorts of benefits as the established organizations do. ScienceOnline formed mostly on blogs and Twitter and has struggled greatly over the past year with sweeping changes in leadership, and some would say it may be due to a lack of financial resources. Which model is better, one in which members are required to pay, with more benefits for members, or one which is more open with membership and information, relying on other funding to provide support? As with most things, the answer probably lies somewhere in between—trade organizations need to find a business model which allows members to join at a free or reduced rate and/or find a way to add more value to the membership. We’re impressed with the BIO 2014 partnering program and the networking opportunities the convention provides, in some ways they’ve created a “Biotech LinkedIn.” Our predicted dissatisfaction with general networking applications such as Facebook and LinkedIn will create a need for more targeted communities such as BIO’s. How can your life science company adapt to these changes? Work more closely with trade organizations such as AACR, ACS, AAAS and ASBMB and tell them what is working for you and what changes need to be made to meet your goals. For example, if a staid conference exhibit hall doesn’t benefit you any longer, give that feedback to the organizers and brainstorm on what will work. I would be positively giddy if every life science conference offered the partnering and networking opportunities that BIO does. Those who embrace the ‘brave new world’ will prosper. The world has changed greatly in the past 6 years, and there’s no turning back. In looking at myself over the past 6 years, as a consumer, I’ve changed my lifetime habit of TV watching to relying solely on my iPad and the internet for entertainment and news. Advertisers are scrambling to find ways to reach me, I’m sure. In this ‘wild west web,’ in the struggle for reaching and influencing consumers, the lines between news, opinion, and advertising can be blurred, resulting in a lot of misinformation being propagated. In science, the consequences are dire, as anti-vaccine advocates and climate change deniers can sometimes have as much influence as real scientists, and suspicion about corporations is high. Concomitantly, public and financial support for scientific research has waned. Life science companies have a great opportunity to be the cheerleaders for biotechnology research. For example, companies can provide summaries of their customers’ breaking research, filling the ‘news void’ for the public while engaging with researchers. If you’ve been reading this blog, you know this concept is our ‘raison d’etre’ and what we aim to facilitate. Whether you work with us, or just use the resources here to get started, we implore you embrace this ‘brave new world’ soon so that we can all prosper. While digital marketing and social media are facile and adaptable, they take time to gain momentum, as we pointed out back in ’09. In closing, we’d like to thank our clients and colleagues, we’ve been ‘lucky’ to find you, and you have helped us to prosper over these past six years. Like other businesses, we’re continually adapting and we’ll be bringing out some new services and resources based on these predictions. Stay tuned and if you’ll be attending BIO 2014 or any other conference in San Diego this year, schedule a meeting with us, and check out our event during the convention. Hi Mary, you are so correct with the real possibility #3, that 3rd-party media such as Facebook and LinkedIn lose their appeal, and that 1st-party media will remain due to the simple fact of control. And #5 is right-on as well, as consumer behavior (both on the B to C as well as B to B dimensions) has irrevocably changed over the past 6 years: pull instead of push, long-tail search behavior, the rise of online video, consumer-produced reviews / content / influence.